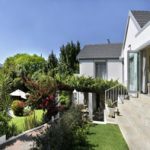 Alba House Bed and Breakfast, Paarl, Western Cape. 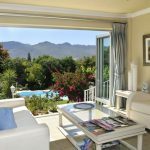 4**** Guest House, great views in spectacular Cape Winelands. Cape Town 30 mins. Walk to wine tasting farms of this famous wine region mainly known for its Merlot and Shiraz varieties. Alba House is close to Paarl-Boschenmeer, Pearl Valley Golf Clubs, Val de Vie Polo Estate and many wedding venues. We offer friendly service, comfortable air conditioned en-suite rooms with king size or twin beds, guest lounge and delicious breakfasts. Large salt water swimming pool, beautiful garden. Safe parking. Free WiFi. Easy access-junct.55 of N1 from Cape Town airport 40 minutes.